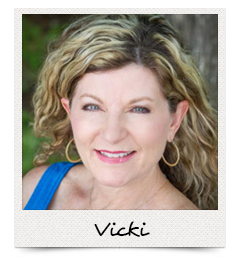 Owner of One Hip Mom Vicki Robinson. I'm the lucky one that gets to work with so many wonderful and talented people. My mom and I started this business in 1991, four years later I had my precious son Carter. Needless to say I did not put the hours into growing the business in those earlier year so that's exactly why I'm so grateful for all the time my mom worked endless hours. She retired several years back and as Carter grew older I could put more time into the business. That's when we changed the name from Our Accessories to One Hip Mom and started the website. Then in 2013 we expanded the business to included our boutique located only minutes from my home which allows me to work on the business and interact with customers on a regular basis. When I'm not working I enjoy cheering for my son at his college football games, having fun with friends at our monthly dinner club and enjoy lunch outings. Happy mom Kelly is our newest sales associate at our boutique and market shows to join the group but don't let that fool you she certainly knows what she's doing. Previously Kelly and her husband owned Hawaiian Retreat Day Spa where OHM sold our merchandise before we opened our store front. So, considering that Kelly has been working with us since 2006. When Kelly is not working here she enjoys running with a local running group, rides motorcycles with her husband and most of all enjoys being Lolly to her beautiful grandchildren. 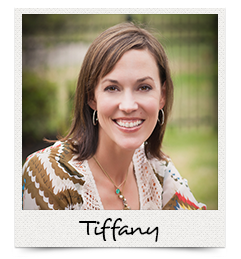 Blessed mom of 3 always dynamic and a joy to be around, Tiffany enjoys putting outfits together and helping customers find items they may not have chosen on their own. Tiffany splits her time at One Hip Mom between sales associate at our market events, local and out of town and she is our in-house photographer. Tiffany is our resident Lenny & Eva expert she loves the handmade jewelry line and is thrilled to help others build bracelets for themselves or to give as gifts. When Tiffany is not working with us she is building her photography business and is an Independent Distributor at LifeVantage Corporation. Lucky mom of 2. Janet has been with us from the beginning. When we just started the business and could not afford to pay anyone, she would help us out in exchange for merchandise. Janet does everything fast-- she can ring up sales, make suggestions, set up booths and tear it down, and you better get out of her way cuz shes doing it quickly. When she is not working with us, she is a teacher of the visually impaired in Denton Texas.